Welcome to Issue #53 of the Bootleggers Buzz! It has been a very weird week. Not a lot action, but plenty of happenings to write several articles. The biggest happening of this week was the Second State Don of the current round. Many of you know him as the best alive buster, but now he is also the Illinois State Don; Westfalia. We at the Buzz wish him all the best of luck and hopefully we can write about the first Nation Don soon! This week we also witnessed the wipe of Omega Soldiers, the crew of Coastie and Yazoo. The shooter, a player named WiiU, immediately created a crew spot named ‘Fernando Torres Fanclub’. If you think that Nintendo games are outdated, you better think twice, because WiiU will definitely come back with another shooting. Unfortunately the Buzz wasn't able to cover this due some very serious real life issues. Therefore, this event will be covered in next week's issue! That were all the happenings of the week, but we have plenty of articles for you. This week BSF2000 wrote his article and it’s definitely worth the read. We also have a column about the latest bullet factory change. The last week we witnessed a decreasing bullet price and a lot bullets in stock. Sodium gives his point of view in a very interesting column. Last but not least we have the winner of the contests. This week we had two contests; solving an extremely hard riddle and writing a freelance article. The winner of the freelance article contest is the player named OB2SE. You can find the winning freelance article next to the articles which are written by the Buzz Team. The other freelance articles are at the bottom of this page. We truly appreciate all the articles we received and we are always looking forward to your freelance articles! The winner of the other contest is a player who is hated by many. His name? You can find his name in the article about the contest! That’s it for this week! A week with a leaving pope, valentines and falling meteorites. Enjoy the read and have a good Sunday! Last issue, the plans for Bootleggers during the first quarter of 2003 were laid out. This issue, BSF2000 gives us an update as to how things are coming along and what we can expect. In recent days we have all seen Bullet Factories with stacks of bullets and falling prices all over to combat this change, but what exactly has caused such a radical change? Why are there so many unknown shooters these days? Rather than explaining themselves, they choose to be “ominous” and say little to nothing relevant about their plans or motives. In the Buzz released two weeks back, we saw a 1,000 point giveaway and all you had to do was solve what sentence four images made. Easy huh? A look behind the names of a couple of Bootleggers Players! This week we witnessed the promotion of the second State Don of the round. The Buzz was able to interview the one and only Westfalia! Is this article you will find the solutions of our latest contest; Four Pictures. 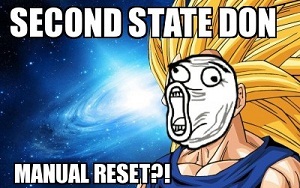 This week we witnessed the second State Don of the current round! At this moment he is not only the best alive buster, but he is also the State Don of Illinois. Congratulations Westfalia for making it this far! This week Omega Soldiers got brutally murdered. The shooter, named WiiU, shot them because they disliked the football player Torres. Good reason or not, the soldiers are resting in peace! Last week we have witnessed some of the first "End this round" discussions in the game forum, after the shootings earlier this week. In this Article we'll have a view upon this interesting discussion. Are you tired of all the UG happenings? Would you like to see more face to face action? Have you always wanted to be part of a crew and be useful in your own way? Then you better keep on reading! The weekly freelance comic of RatFaceRay!